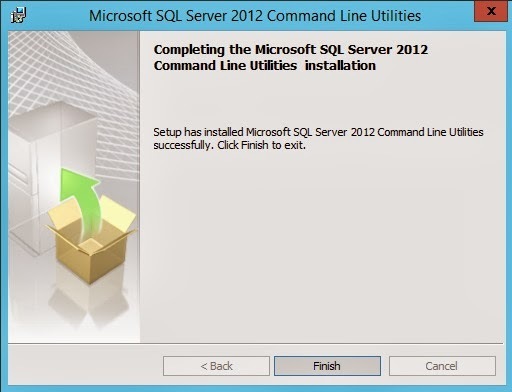 In the previous post you saw how to configure SQL Server for your virtual infrastructure. 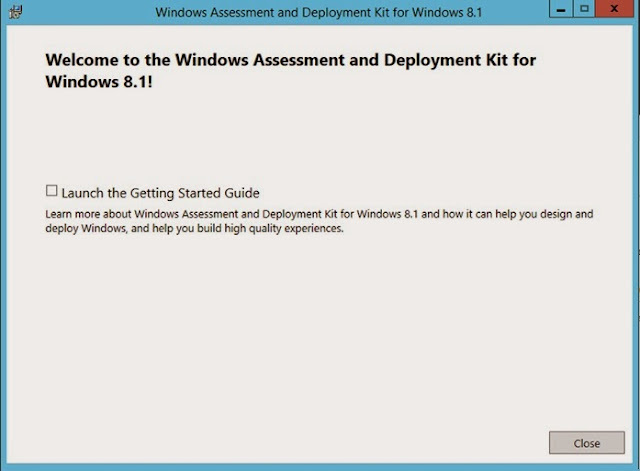 In this post you will setup a sixth virtual machine named LAB2013VMM01 that will host your actual System Center Virtual Machine Manager 2012 R2 installation. You will also go through all the prerequisites for SCVMM to work. 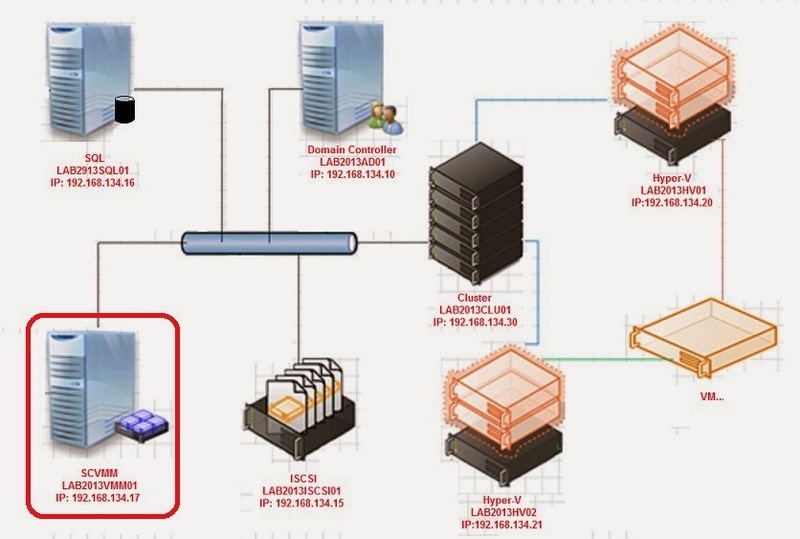 During the installation of a VMM management server, on the Configure service account and distributed key management page, you will need to configure the System Center Virtual Machine Manager service to use either the Local System account or a Domain account. You can change this later on, of course. If you choose to use a Domain account make it belong to the Local Administrators Group. In any case there are many reasons to choose to run SCVMM with a Domain account, though I am not going to detail this here. 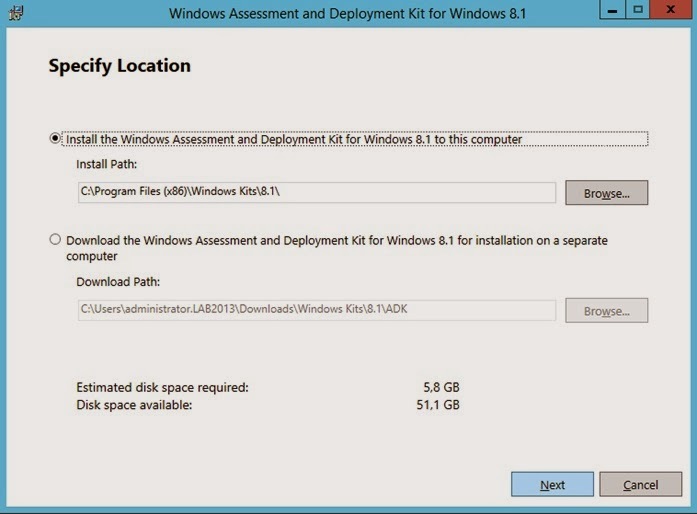 During the installation of a VMM management server, you will need to configure Distributed Key Management. 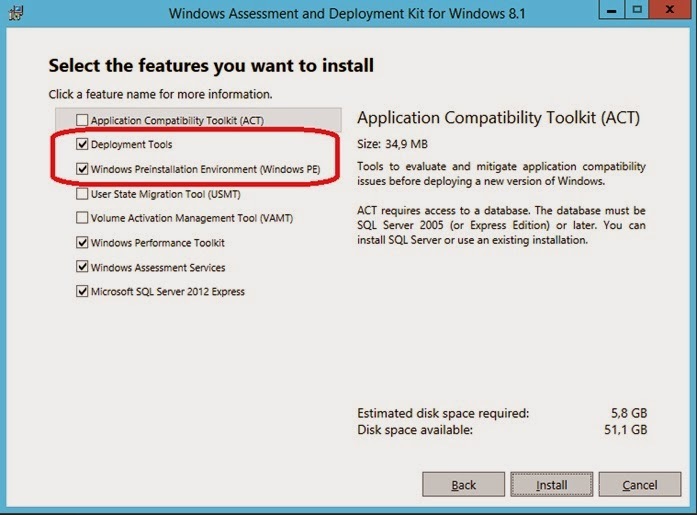 On the 'Configure service account and distributed key management' page of Setup, you can select to use Distributed Key Management to store encryption keys in Active Directory Domain Services (AD DS) instead of storing the encryption keys on the computer on which the VMM management server is installed. The advantage of storing your keys in AD DS is that if you need to move your VMM installation to another computer, all your data are retained. Cool, uh? Also storing keys in AD DS is the only possible way if clustering your VMM. You must create a Container (i.e. SCVMMDKM) in AD DS before installing VMM. The domain account your created in the first step must have full rights on this Container. The third prerequisite is to install Windows Assessment and Deployment Kit (Windows ADK) for Windows 8.1. 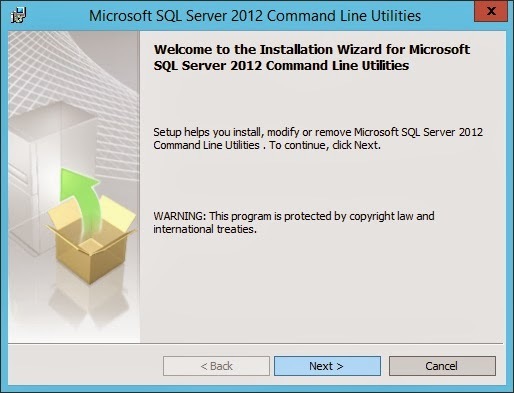 The fourth is to install SQL Server 2012 Command Line Utilities. Remember that using a Domain Account and storing the encryption keys are two of the pillars of a Highly Available VMM Management Server, which is out of scope for my lab for now. Maybe I’ll come back on this topic in a future post. An IdentityReference object that identifies the trustee of the access rule. It is the SID of the user account SCVMMsvc. The access rights that are assigned to an Active Directory Domain Services object. You will use GenericAll because it gives the right to create or delete children, delete a subtree, read and write properties, examine children and the object itself, add and remove the object from the directory, and read or write with an extended right. $Ace = New-Object System.DirectoryServices.ActiveDirectoryAccessRule $UserSid, "GenericAll", "Allow"
Now, for Windows ADK, you can find it here: http://www.microsoft.com/en-eg/download/details.aspx?id=39982 It’s a small file (1.4MB) named adksetup.exe. The installer will download these features (that’s why it is so important to have proper internet connection and a valid DNS forwarding in your LAB). This can take a significant amount of time depending on download speed. 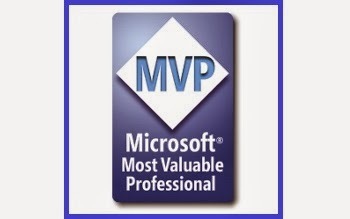 Now you have all the SCVMM prerequisites met. Time to install System Center, which I will explain in the next post!